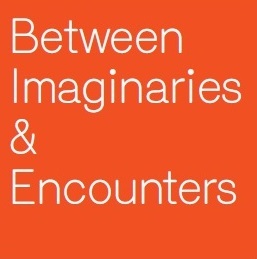 The website “Between Imaginaries & Encounters: Young People from Diyarbakır and Muğla Speak,” prepared by an interdisciplinary team directed by Sabanci University Faculty Member Leyla Neyzi, is now open. In this website, we present selections from memories of the past, life experiences, future aspirations, and perceptions and interpretations concerning Turkey’s current agenda of 22 young people from an eastern and a western province. The project “Young People Speak Out: The Contribution of Oral History to Facing the Past, Reconciliation and Democratization in Turkey” was supported by Stiftung Mercator, Istanbul Policy Center, The Open Society Foundation, Global Dialogue and Heinrich Böll Stiftung in 2011-2012. The main subject of this project is youth in Turkey. While young people constitute the majority of the population and will determine the country’s future, they remain constrained by adult society and are insufficiently able to make their voices heard. Oral history, which conventionally focuses on elderly witnesses to historical events, is used in this project to investigate youth. This stems from a growing realization of the importance of postmemory, which concerns knowledge of the past based on diverse sources such as intergenerational transmission and the media, in addition to direct experience. One of the goals of the project is to enable the products of oral history to reach a wide audience in Turkey. Oral history is an important tool in the expansion of civil society. Oral history is based on the premise that ordinary people are the agents of history and that it is critical to take ordinary people’s representations and narratives concerning the past seriously. For a comparative approach to young people, and taking into account the growing perceptual divide and conflicts between ‘east’ and ‘west’ that are high on the agenda in Turkey today, we chose a province in eastern Turkey (Diyarbakir) and a province in western Turkey (Muğla), interviewing young women and men mostly in their twenties from different social classes and cultural identities in urban and rural settings. In addition, we interviewed young women and men with origins in Diyarbakir and Muğla in a transnational metropolis (Berlin). We interviewed 100 individuals, with a total of 200 interviews. In addition to this website, the exhibition “Between the Imaginary and Encounters: Young People from Diyarbakır and Muğla Speak” will be at the Hamursuz Firini in Galata, Istanbul between November 30 and December 29, 2012. Exhibition events include a panel with the participation of young people interviewed as well as the launching of the project book. Designed by the project team, the book, which will include visuals, aims to make the voices of young people reach a wide readership.